Man i’ve missed oil painting! I love it so much and am still learning the real basics – you do need to work at it somewhat consistently to get anywhere. It’s so thick and luscious, smells delicious, and the colours are just yum! 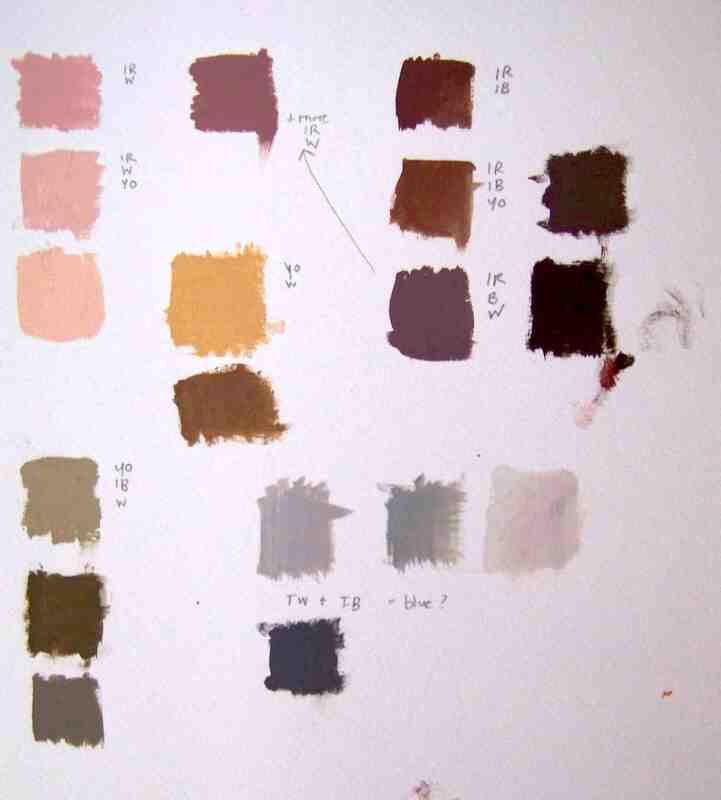 So a limited palette at painting group: ivory black, titanium white, yellow ochre, indian red. 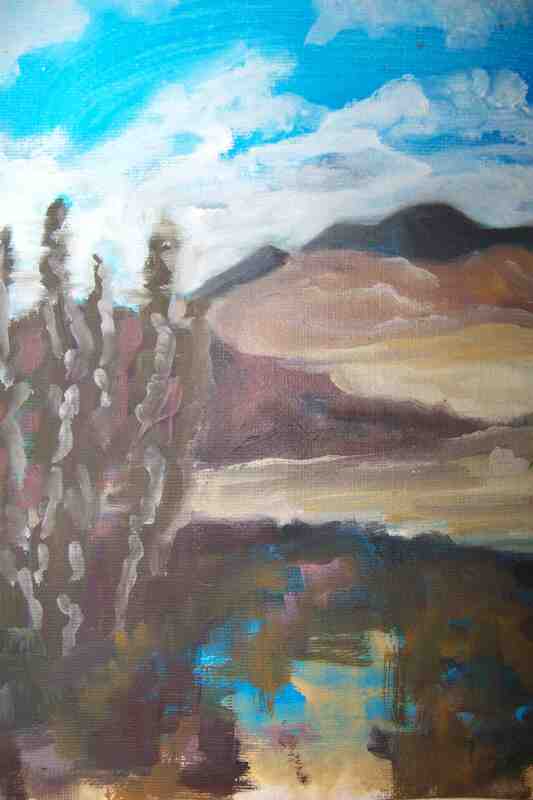 Half an hour mixing and creating a palette and the rest painting our brought landscape. I used a canvas paper primed with blue since the blues were impossible to mix with the colours given to work with (greys the closest)…i left a piece showing in the foreground which is bugging me. 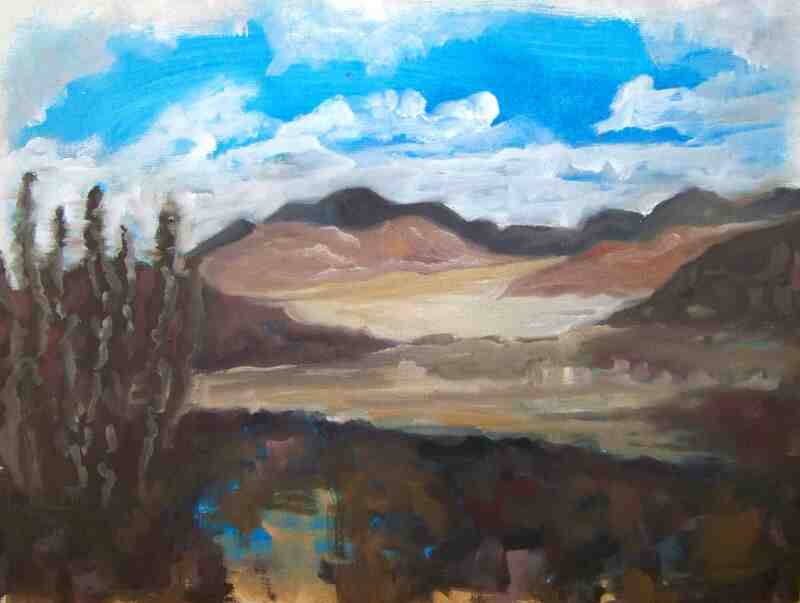 Bit of a messy landscape but i enjoyed just doing it again, and musn’t leave such long periods inbetween!